SoftwareIDM Services are available at $600/£469/hr. If travel is required, costs are actual costs plus 10% administrative fee. Customers who subscribe to a Knowledge Package for Identity Panel or a Knowledge Package for MIM DevTest, receive a low hourly rate for the respective product. For these subscribers, SoftwareIDM Services are available at $450/£352/hr. Customers that own a SoftwareIDM Operational Support plan receive consulting and support hours performed from the SoftwareIDM offices at $300/£235/hr. 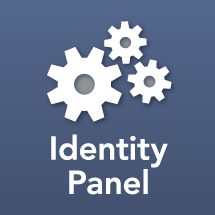 Customers that own a OneDesign for Identity Panel subscription or are using Identity Panel Azure Marketplace Edition with an Operational Support plan receive report writing and Identity Panel configuration services at a token rate of $150/£117/hr., up to 100 hours per year.